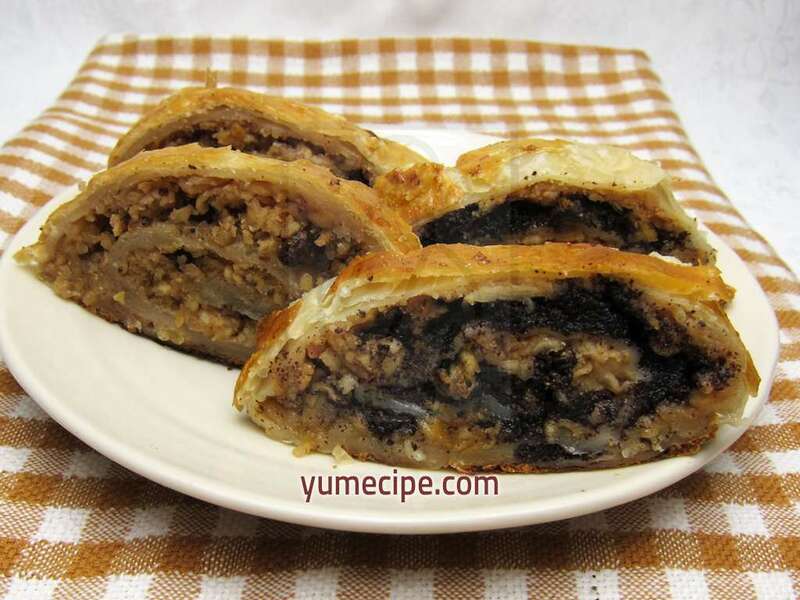 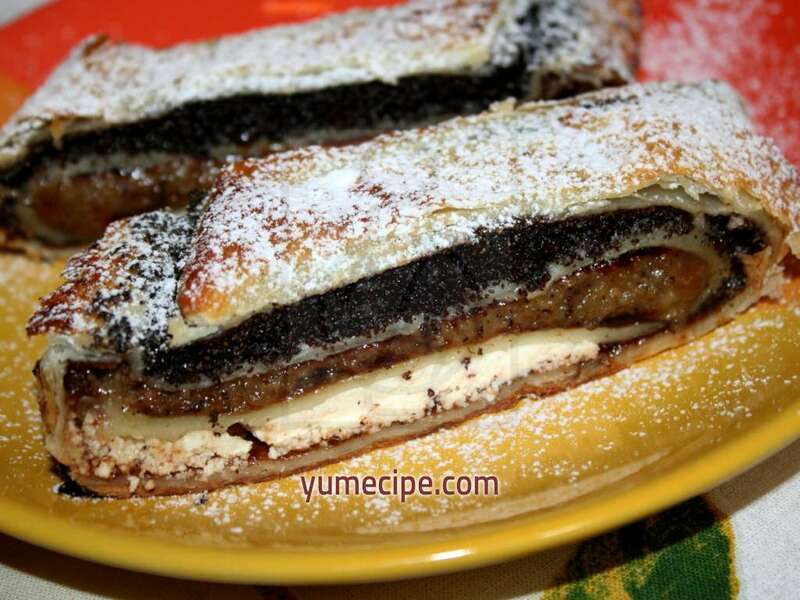 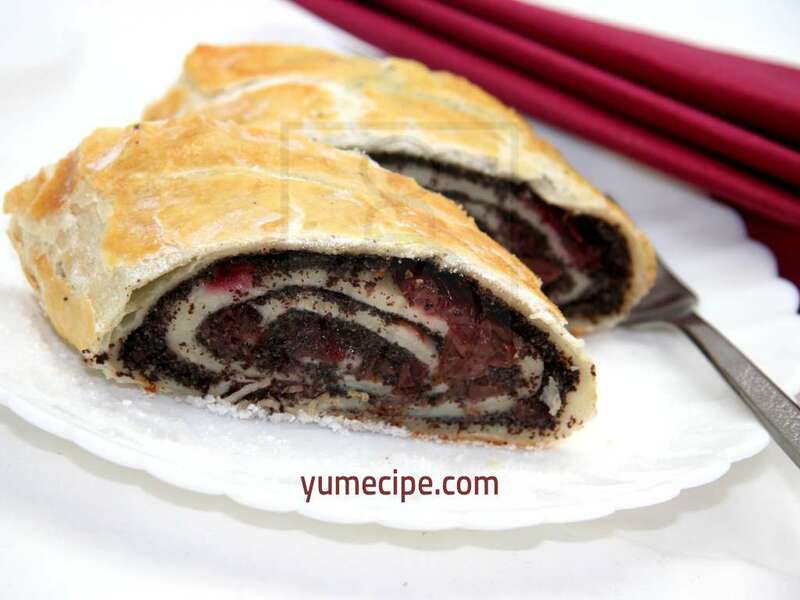 When you stricken with irresistible appetite for sweets, after good sunday lunch, prepare this easy and fast strudel. 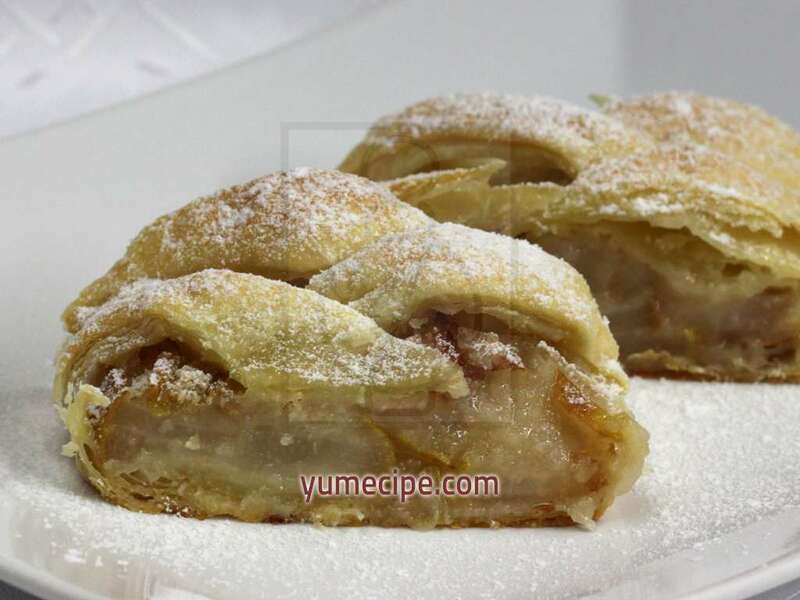 Juicy strudel full of tasty sweet pears. 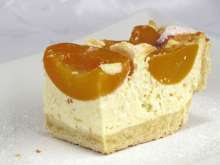 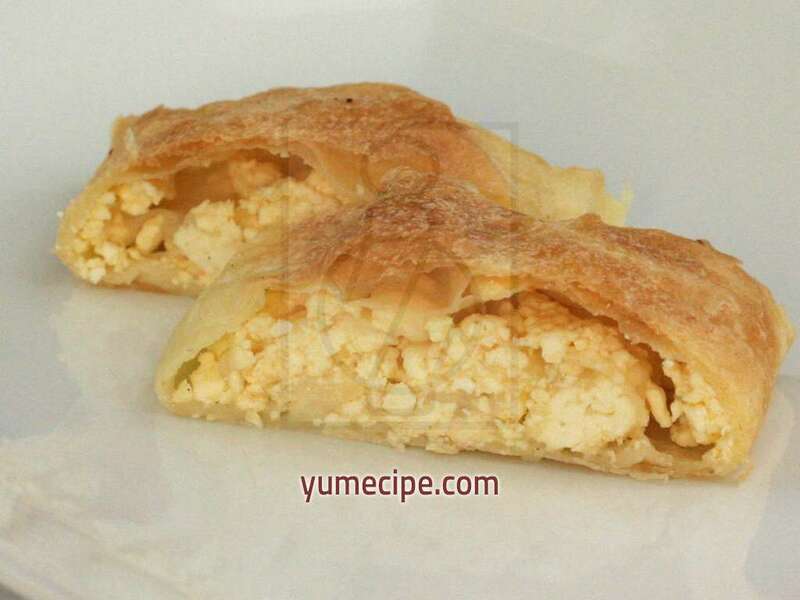 Excellent juicy strudel filled with grated pumpkin, nectarines and cream cheese. 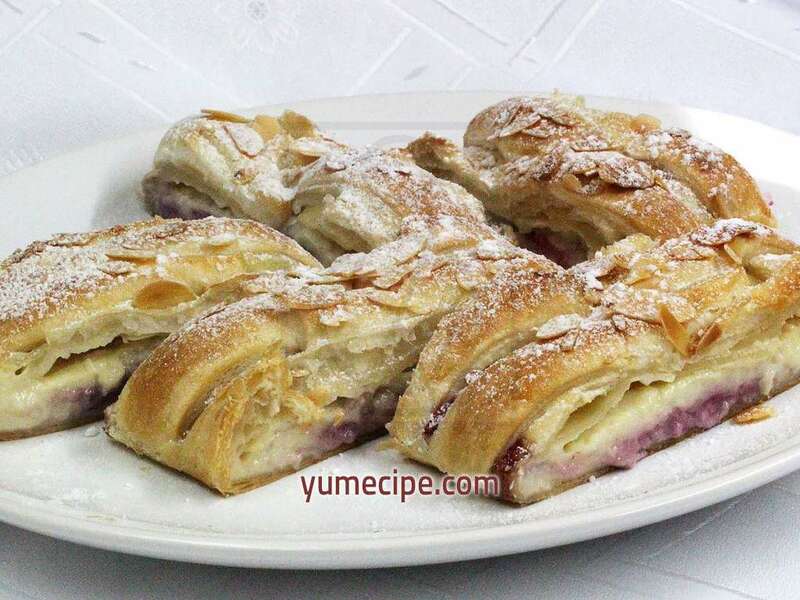 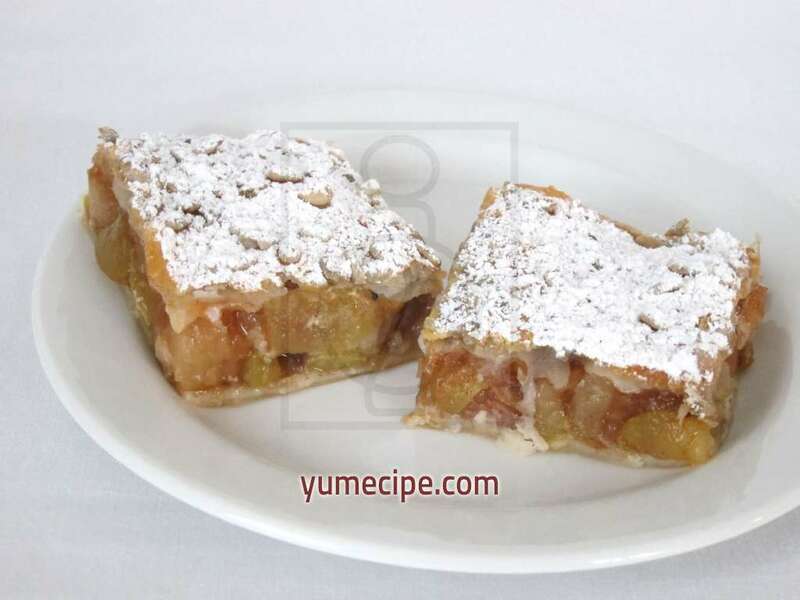 Recipe for a favorite apple-cream cheese strudel from puff pastry enriched with dry plums. 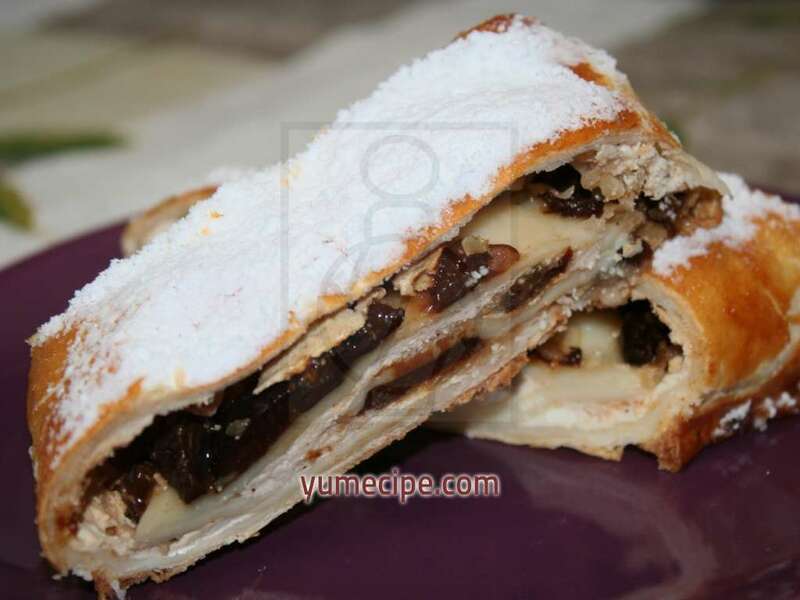 Traditional recipe for the best strudel as our grandmother was learnt from her grandmother. 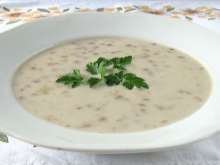 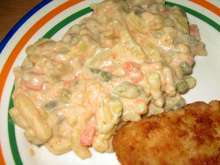 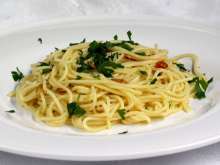 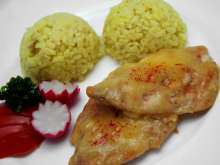 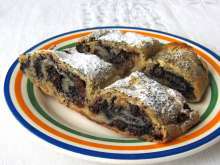 Ingredients for dough are for making of two strudels from a kilogram of flour. 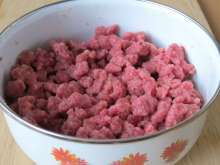 You can make one popy seed and second e.g. 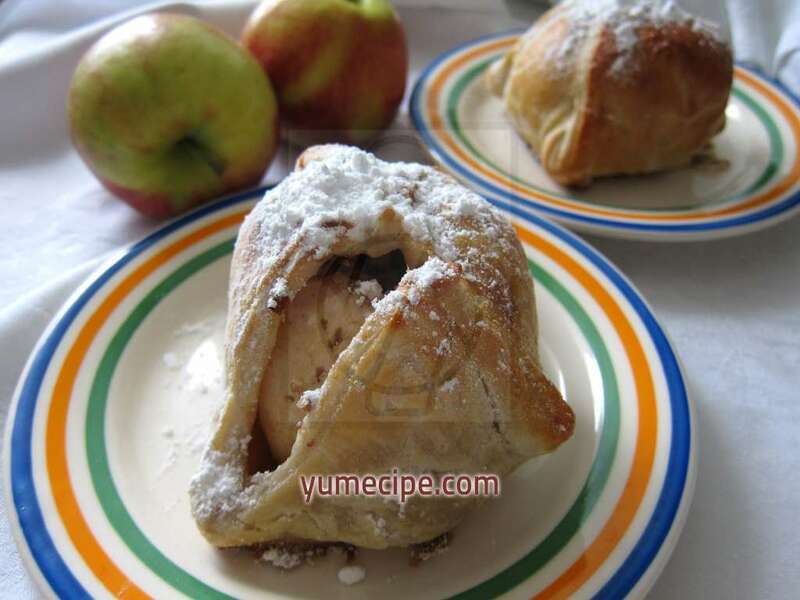 cream cheese or apple. 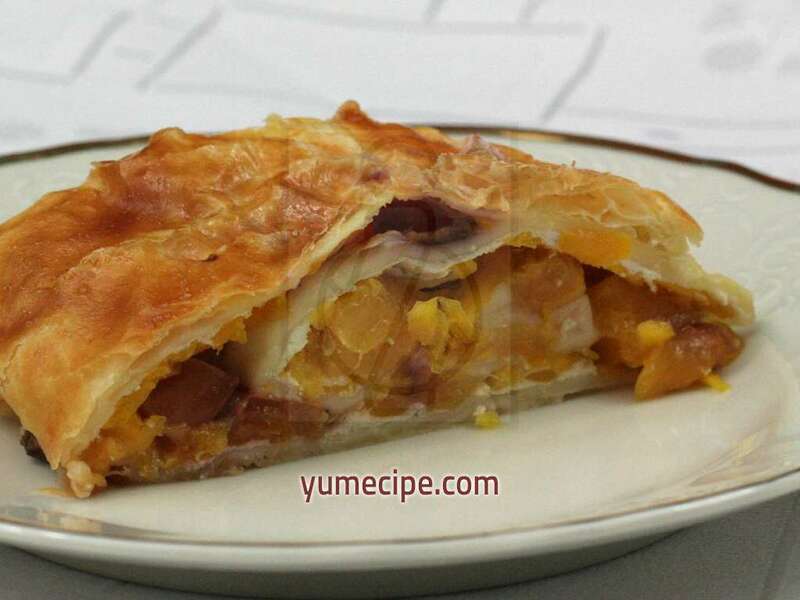 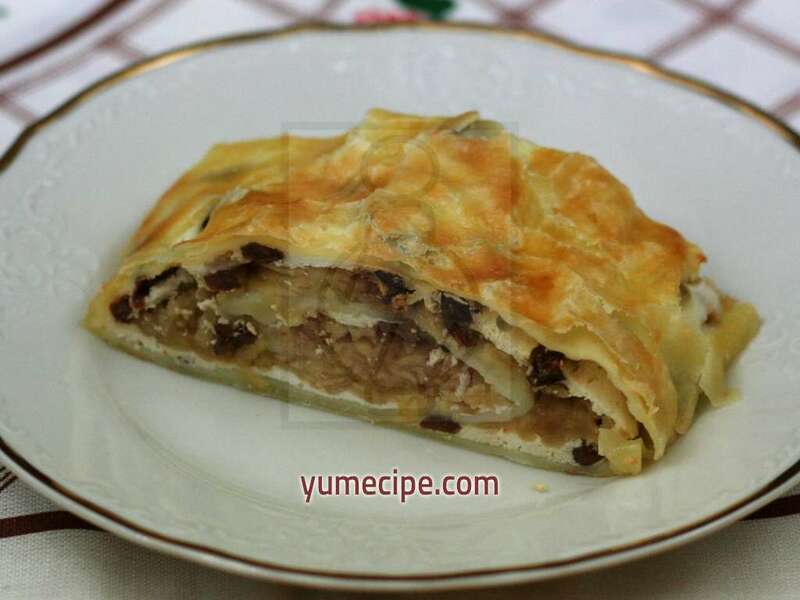 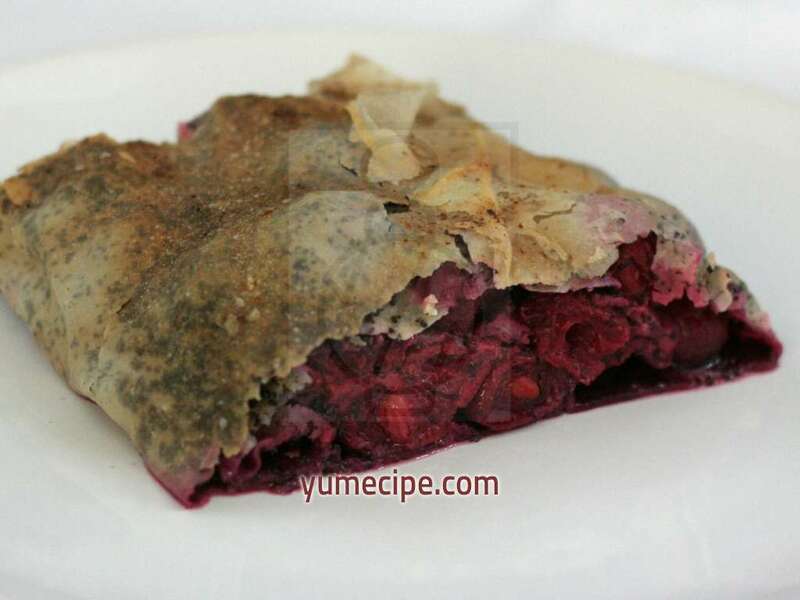 Recipe for easy and quite fast preparation of homemade puff pastry strudel. 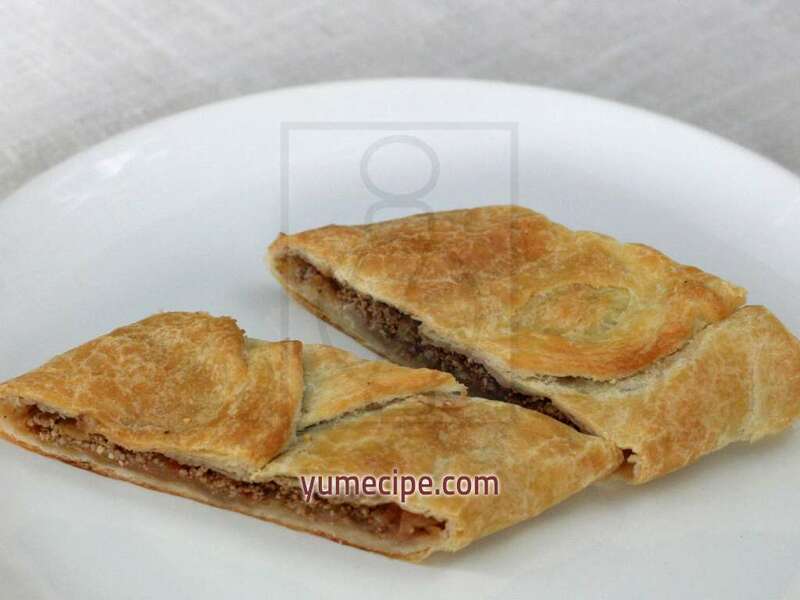 Preparation of easy strudels from puff pastry. 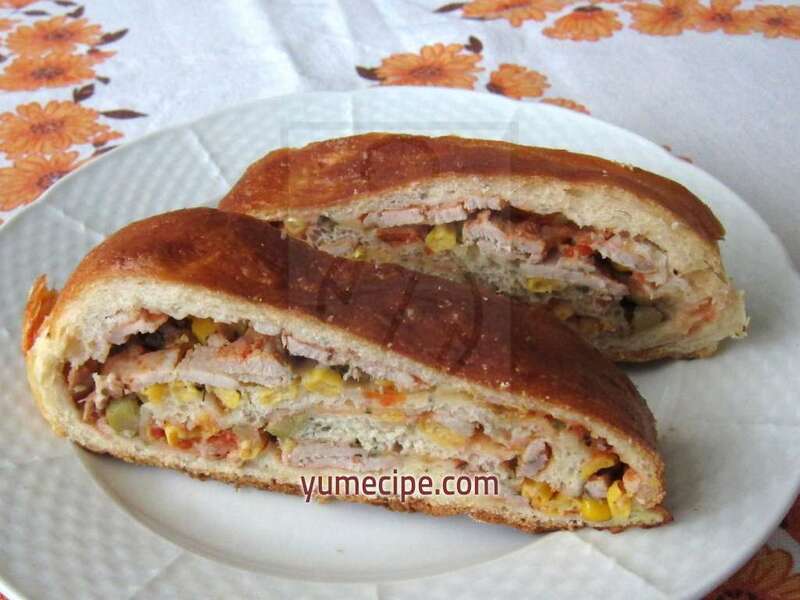 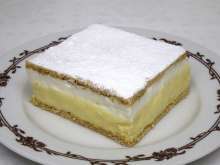 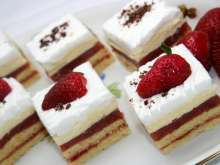 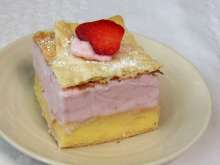 Delicious and juicy double strudel. 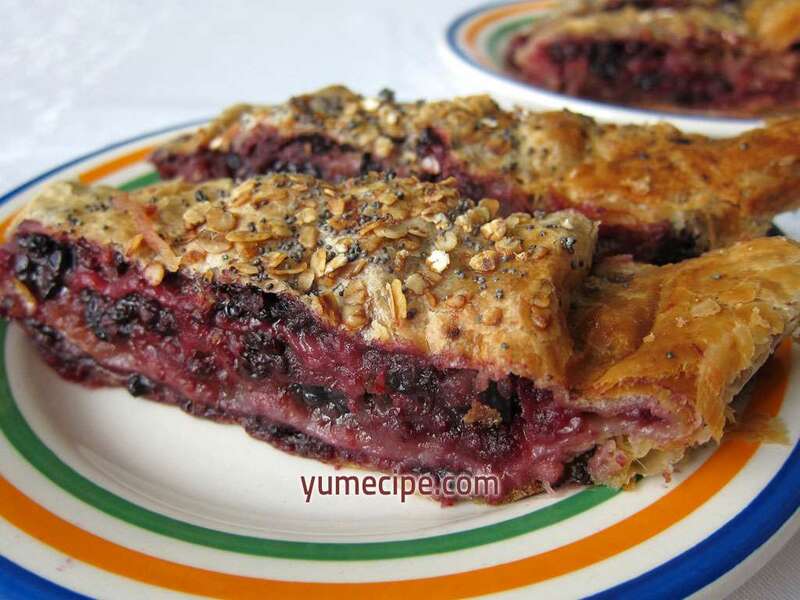 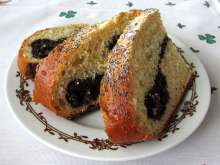 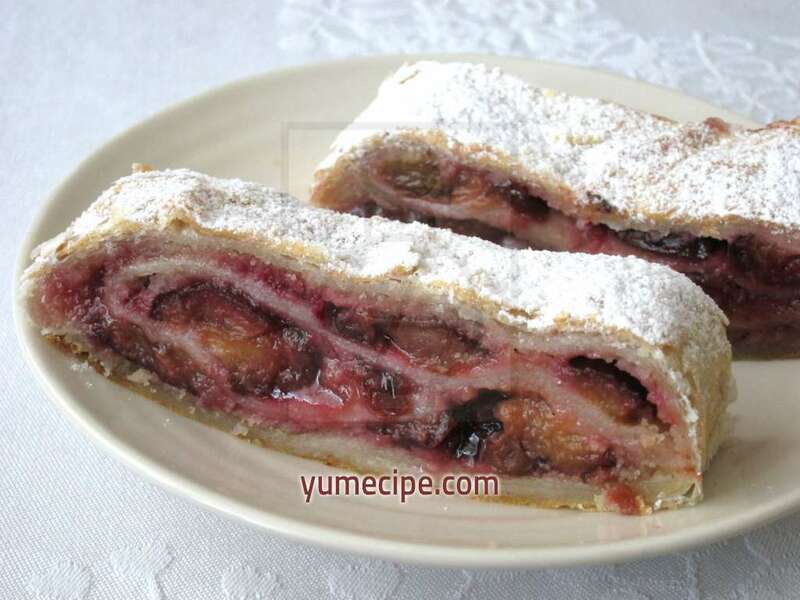 Excellent juicy plum strudel for ordinary and festive days too. 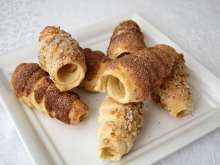 Recipe for the roll from crunchy puff pastry with sweet custard filling.